Mel's review I read this as a child and loved it then and I still love it as an adult. I will share it my children. Travel to A Special ChristmasI have loved this story since I first started reading it to my children and then hundreds of students. Enjoy the twist on a favorite Christmas legend. 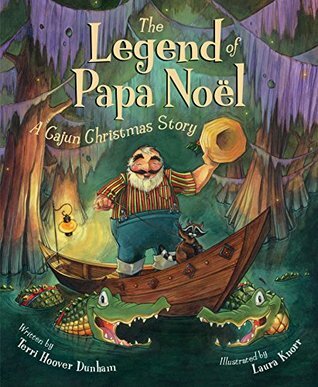 Terri Hoover Dunham Laura Knorr - Terri Hoover Dunham is the author of The Legend of Papa Noel: A Cajun Christmas Story, released by Sleeping Bear Press in September of 2006. Her work has also appeared in Louisiana Literature, The Louisiana Review, St. Anthony’s Messenger, St. Anne De’Beaupre’, Victoria, Backwood Homes, Mississippi Magazine, Cappers and Grit. In addition, she has written book reviews for the Baton Rouge newspaper, The Advocate for twelve years and is pursuing her degree in Liberal Arts, with a focus in Literature.Terri is the mother of two grown sons.